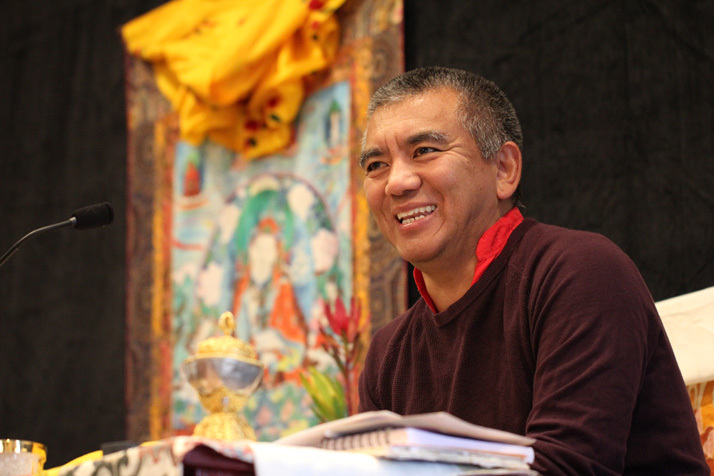 (TibetanReview.net, Jan17’19) – The heads of the principal monasteries of the Nyingma tradition of Tibetan Buddhism have on Jan 15 chosen the 7th Dzogchen Rinpoche Jigme Losel Wangpo as their new leader. This followed the sudden passing away in Nov 2018 of Kathok Getse Rinpoche in Nepal, who held that position for about a year. Jigme Losel Wangpo was chosen for the position during the 30th Nyingma Monlam held at Bodh Gaya, which concluded on Jan 16. The 54-year-old principal holder of the Dzogchen lineage will be the 8th head of the Nyingma tradition of Tibetan Buddhism. He was not present at the gathering; so his selection is subject to his acceptance of that position. It was during a meeting of representatives of the top Nyingma masters at the same venue around the same time last year that Kathok Getse Rinpoche was made the head. It was also decided that the headship will rotate for three-yearly terms among the six principal Nyingma lineage holders, namely those of Kathok, Dzogchen, Sechen, Mindrolling, Dorje Drak and Palyul monasteries. Dzogchen Rinpoche, the newly selected head, was born in Sikkim in 1964 and was recognised as such by the 4th Dodrupchen Rinpoche Thupten Trinley Palzang and confirmed by the Dalai Lama.